The RBA last cut the cash rate to its record low of 1.5 per cent in August 2016, following an earlier cut to 1.75 per cent in May. There has not been an official cash rate increase since November 2010. In his statement, RBA governor Philip Lowe said housing credit growth had slowed over the past year, especially to investors. "APRA's supervisory measures and tighter credit standards have been helpful in containing the build-up of risk in household balance sheets, although the level of household debt remains high," he said. "While there may be some further tightening of lending standards, the average mortgage interest rate on outstanding loans is continuing to decline." AMP Capital chief economist Dr Shane Oliver said while the RBA would like to move to more "normal levels" like the US Federal Reserve, there was "currently no case to move rates". "Booming infrastructure investment, better non-mining investment, strong export growth and the RBA's own forecasts for growth and inflation all support the case for an eventual rise in rates," he said in a client note. "This is counterbalanced by uncertainty around consumer spending, weak wages growth and inflation, tightening bank lending standards and the slowing Sydney and Melbourne property markets. "Our view remains that a rate hike is unlikely until 2020 at the earliest and that in the interim a rate cut cannot be ruled out." CoreLogic head of research Tim Lawless said it was little surprise given some of the underlying weakness in the Australian economy - a 0.4 per cent decline in house prices in the year to May, weak wages growth of 2.1 per cent, underemployment high at 8.3 per cent and inflation of 2 per cent. "Financial markets are not fully pricing in a rate hike until October 2019," he said. "That is despite the latest RBA forecasts suggesting headline inflation will reach 2.25 per cent by the end of this year and unemployment will fall to 5.25 per cent. "From a housing market perspective, a stable rate environment is positive. However, there is risk that mortgage rates could rise, regardless of the steady cash rate, due to higher funding costs being faced by lenders overseas. 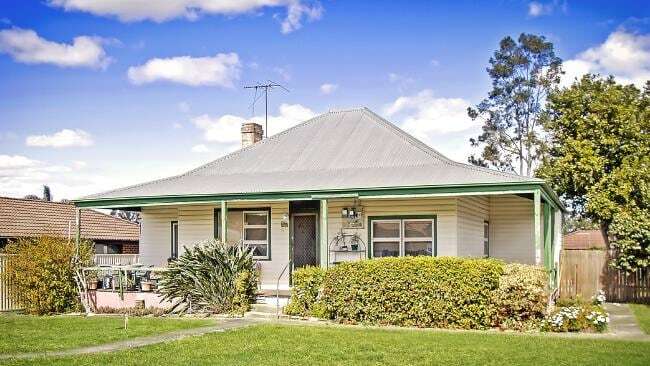 "At the end of May, standard variable mortgage rates for owner occupiers remained at their lowest level since 1965, averaging 5.2 per cent and the average discounted rate is tracking even lower at 4.5 per cent. "The average three year fixed rate is lower yet again at 4.15 per cent. Even if mortgage rates do rise, they are still well below the twenty year average of 6.8 per cent." Meanwhile, comparison website Finder.com.au has polled 15 economists and experts for their predictions on house price moves in 2018. They tipped prices in Sydney to fall 5-6 per cent by the end of the year, compared with 3-4 per cent in Melbourne, 6 per cent in Brisbane, and 1-2 per cent in Perth and Darwin. Prices were tipped to rise 1-2 per cent in Adelaide and 1-4 per cent in Hobart. "For those mulling over buying their first property, this year could be a good time to snap up a bargain if prices do take a tumble," said Finder.com.au insights manager Graham Cooke. "With some heat removed from the market, cheaper dwelling prices could be a first homebuyer's ticket into the property market. A cheaper price tag means they'll have a smaller deposit, meaning they can jump onto the property ladder sooner." Steve Mickenbecker, group executive of financial services at Canstar, said the outbreak of trade wars added "further uncertainty" to global growth. "The Reserve Bank would want to see how this plays out and then impacts, before dampening growth with higher rates," he said. "In spite of Reserve Bank inaction, Canstar has tracked home loan interest rate movements from more than 50 lenders since January this year," he said. "The underlying fundamentals of the home lending business constantly demand adjustment and lenders are not afraid to move rates both up and down, with or without the Reserve Bank."